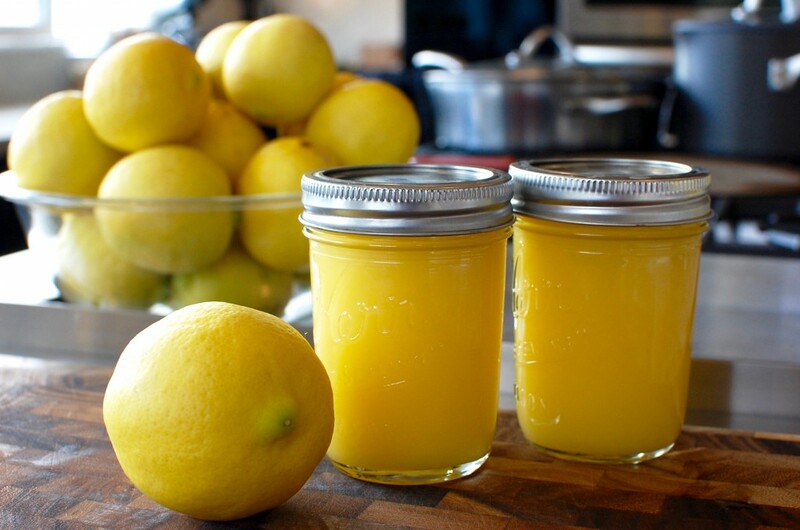 Every now and then, I need a small amount of lemon curd for a recipe – and I don’t want to make a big huge batch. 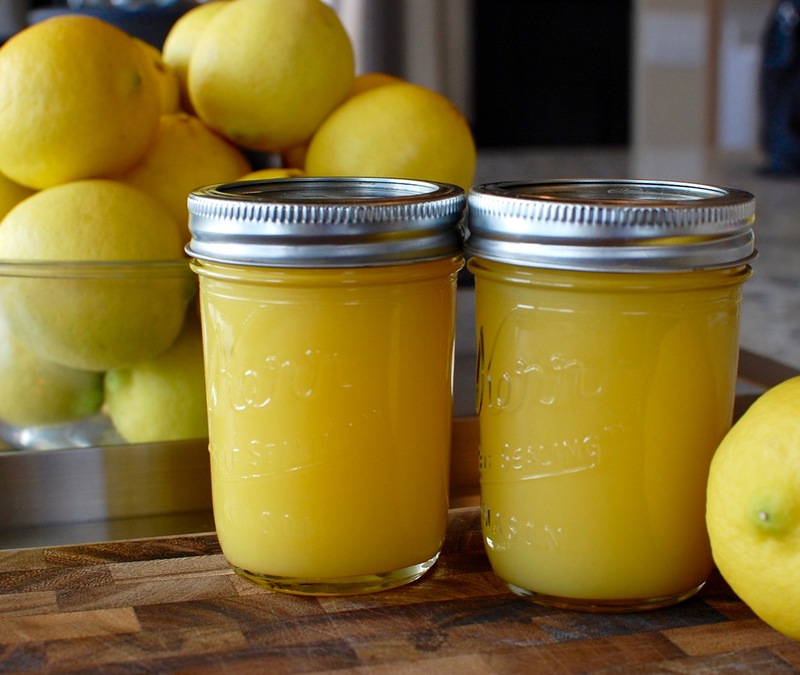 In those instances, I will use this recipe (below) for a very quick cooking microwaved lemon curd, instead of using my more time consuming big batch lemon curd recipe. The big batch recipe is safe for home canning and longer storage… the recipe posted here below is a short storage recipe that will last up to 3 weeks if kept clean and refrigerated (it is NOT safe for home canning). My microwave lemon curd recipe is also quite easy because it does not call for the separation of the eggs – you use 3 whole eggs only (you don’t need extra yolks). 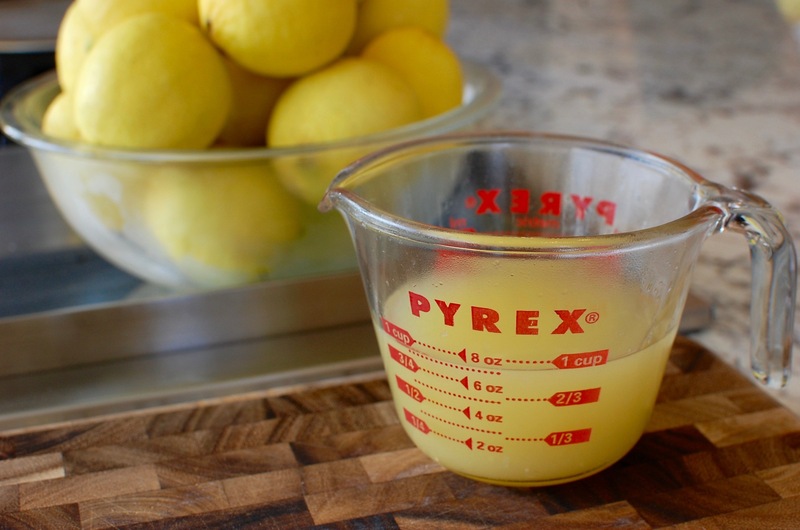 Thanks to the speed of the microwave, you can have a delicious lemon curd in less than 10 minutes! 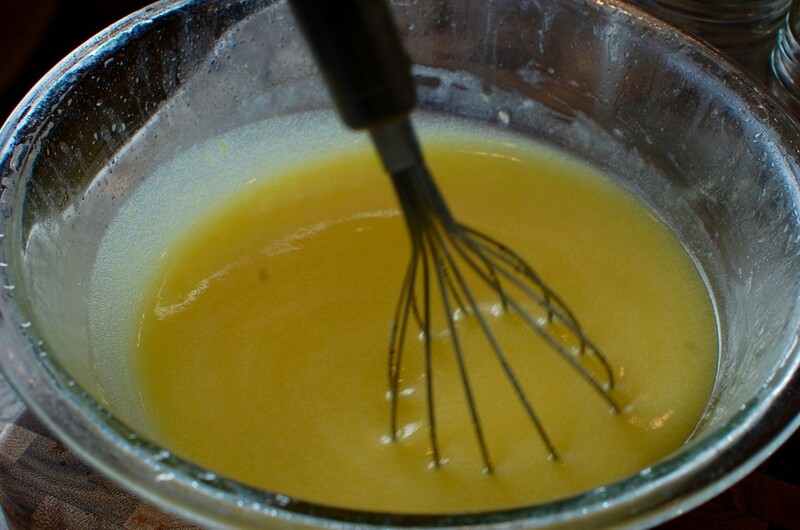 You can use lemon curd as a delicious filling for pastries/cakes/crepes, a topping for pound cake/pancakes/ice cream/yogurt, spread on toast/biscuits/scones (instead of jam)…. or just eat it out of the jar with a spoon! Enjoy! 1. 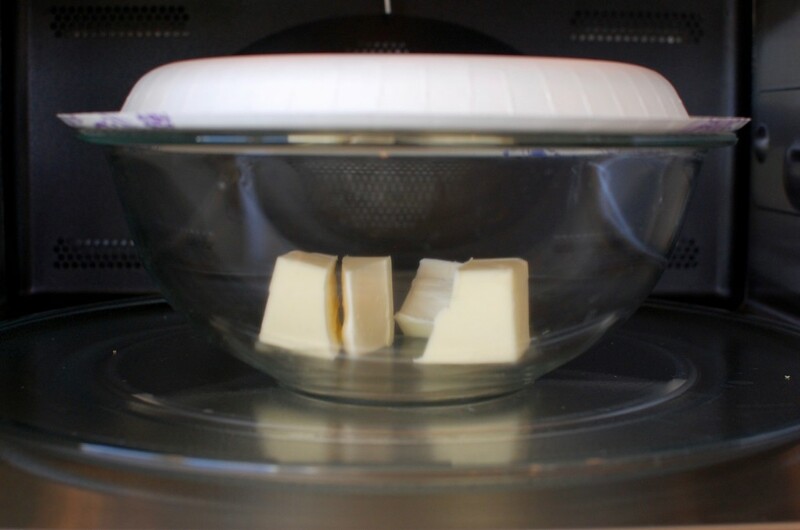 Cut the stick of butter into fourths and place into a glass bowl. Cover, and microwave (on 50% power) until melted. 2. Zest and juice your lemons, you will need 1 c. fresh lemon juice. 3. Add the lemon zest, salt, sugar, and lemon juice to the bowl of melted butter. 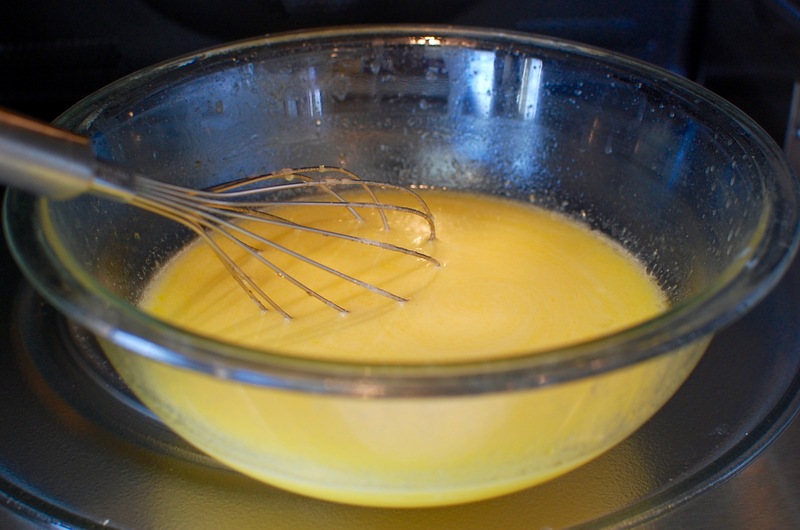 Stir with a wire whisk until completely combined. 4. 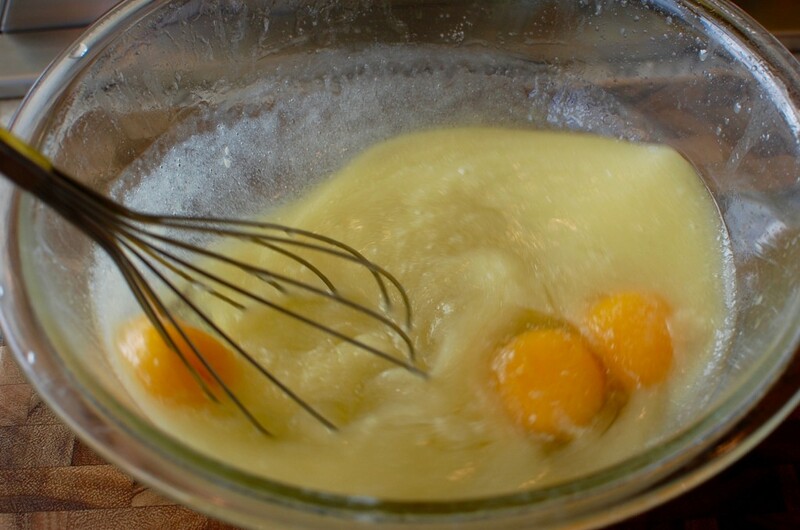 Add the 3 whole eggs, continue to whisk until a homogenous mixture. 5. Return the bowl to the microwave and cover. Microwave for 1 minute (full power). 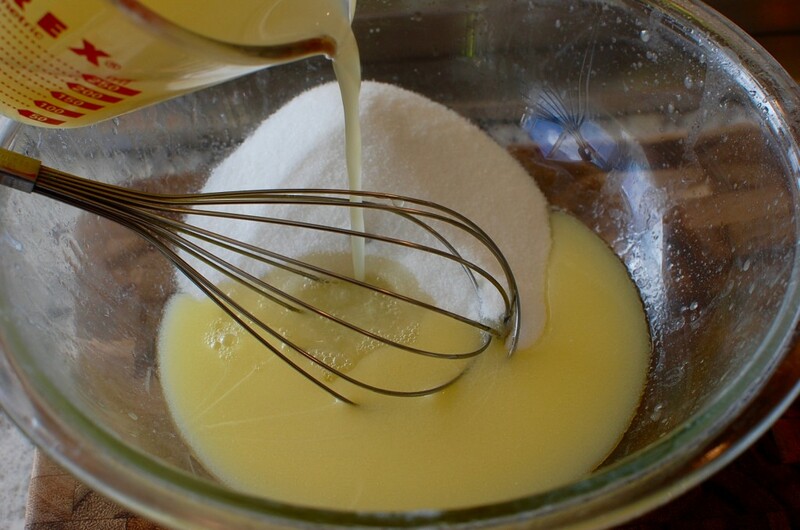 Remove the lid, then mix with the wire whisk. 6. Continue to microwave for 1 minute intervals, stirring in between each minute, until the mixture is thick enough to coat the back of a spoon. (It took me about 4 minutes in my microwave. Depending on the power in your particular microwave, it can take anywhere from 2-5 minutes to thicken.) Don’t overcook – the curd will firm up as it cools. 7. 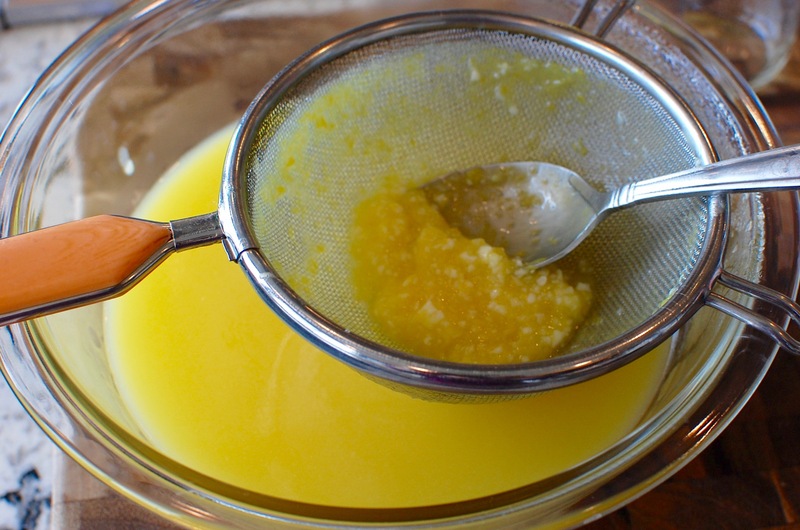 Strain to remove any bits of egg chalazia, lemon zest, and bits of egg that may have scrambled. 8. Pour into sterilized jars (I got two full half pint jars plus a little bit extra). Refrigerate immediately and use within 3 weeks.